The 10-Bin Mobile Organizer with Assorted Bins from ECR4Kids is designed to make organizing your life easier and more attractive. 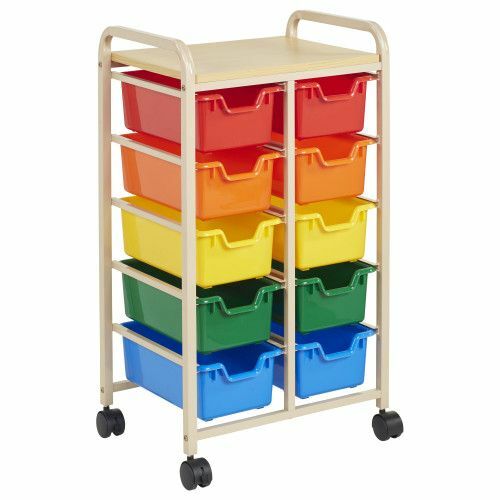 The sturdy sand colored rack has rounded edges for safety, built-in handles for easy mobility, and cross-bars for added strength and durability. 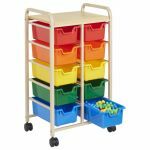 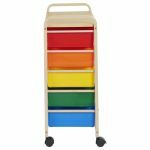 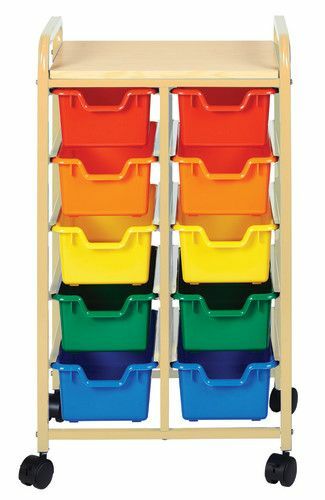 The 10 assorted color bins keep art supplies, manipulatives, crafts, toys and more stored safely away in your classroom, playroom, or home. 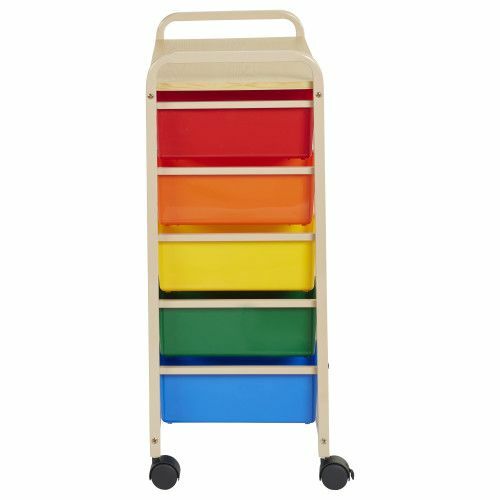 The removable bins slide in and out effortlessly, staying on their tracks. 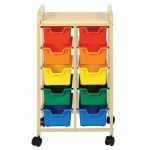 There is additional surface area on top to display items or provide extra storage space. 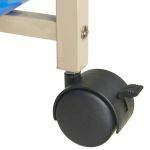 Move the unit from room to room using the four durable casters.